Take Romeo and Juliet. Add The Outsi ders. Mix thoroughly. Colt and Julia were secretly together for an entire year, and no one?not even Julia?s boyfriend? knew. They had nothing in common, with Julia in her country club world on Black Mountain and Colt from down on the flats, but it never mattered. 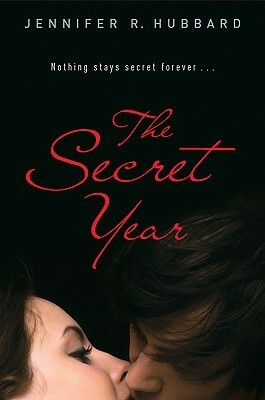 Until Julia dies in a car accident, and Colt learns the price of secrecy. He can?t mourn Julia openly, and he?s tormented that he might have played a part in her death. When Julia?s journal ends up in his hands, Colt relives their year together at the same time that he?s desperately trying to forget her. But how do you get over someone who was never yours in the first place? When I first read the summary of this book I knew I had to have it. Romeo and Juliet and The Outsider are two of my favourite books. When I bought this book I instantly ran home to get started on it. I had a feeling that this book would be one of those great reads. The Secret Year is a very small read about 192 pages so I turned my coffee pot on and decided to read the entire book in one sitting. My first complaint is that you find out right away that Julia is dead. It was very hard for me to understand a character just by reading her letters so I felt very disconnected . I felt that if the author took the time to write a little more and make this book a decent 300 pages she could have at least written Julia in 1 month before her death so that readers have a better understanding and can realte to her character. My second complaint is that this book is nothing like Romeo and Juliet or the Outsiders. I mean sure there are similar story lines, but Julia dies and Colt doesn't and the town is divided into two parts the rich and the poor but i've read tons of stories like that who don't advertise thats it's like Romeo and Juliet or The Outsiders. I was extremely dissapointed in this read which is very rare since I normally love all the books I read. As I continued to read , I thought to myself ok its about a boy whos in love with a dead girl and this is his depressing story blah blah blah ....... but even Colt who in the begining of the book decided he loved Julia so much it hurt moved on to not one but two girls so really what is the point of this book???? The only thing I did like about this book is that the relationship between characters and the serious topics they touch on are very real and reltable such as not belonging or being gay. oh i read this too! i didnt like it very much so i completely agree with your review!